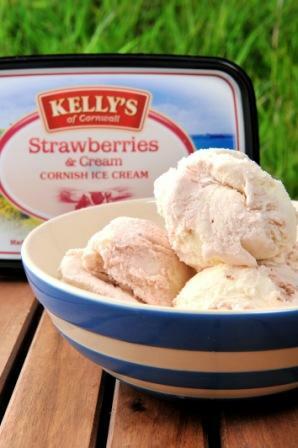 Kelly’s of Cornwall is investing more than £2.5 million as part of an ongoing campaign to support the growth of the UK’s leading brand of Cornish ice cream. The investment sees a number of activities lined up for 2010, including a nationwide marketing and advertising campaign to help drive awareness of the brand outside of the county. This includes national TV, national press, digital and PR. Further to this, the investment sees the continuous launch of new packaging, new flavour development and staff recruitment at the Bodmin-based factory on the back of strong sales growth. Kelly’s is also proud to be a sponsor for Clean Cornwall, which aims to encourage the local community to keep tidy and litter free. Investment is also being made in to local scooping sites in Cornwall through refurbishments and point of sale materials.